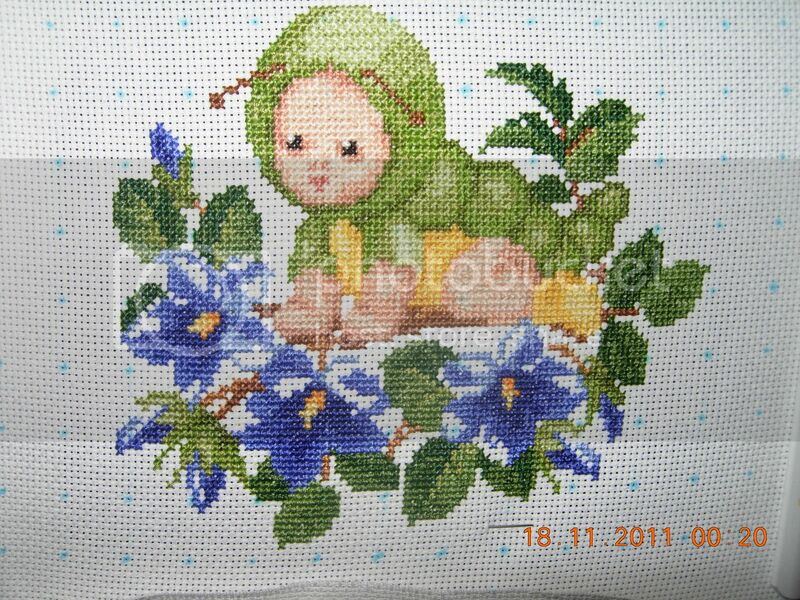 Hi all, I just have one more color to stitch and he's done. And of course the back stitch, after much consideration and listening to my fellow stitchers I realised that I was panicking for no reason. 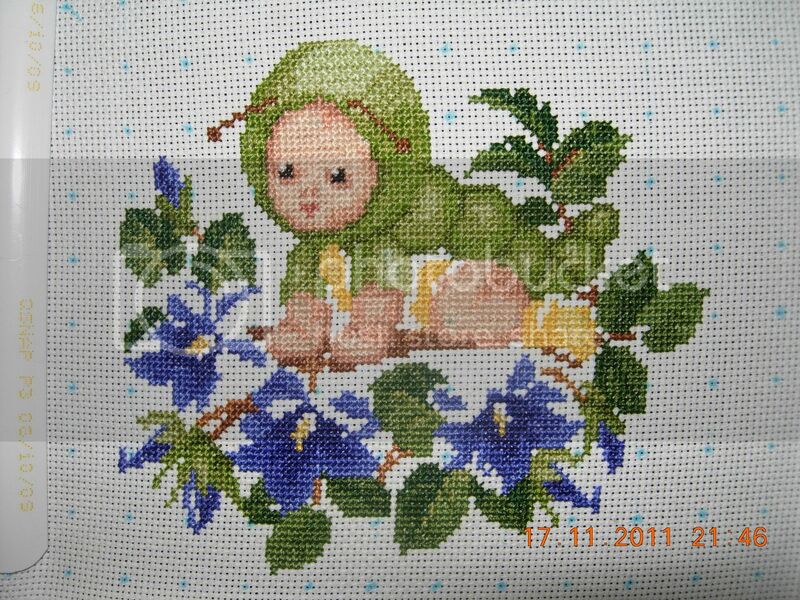 In actual fact the back stitch is just for the little Caterpillar. I just haven't done much backstitching, so it always seemed daunting to me! We'll see how it goes! And this weekend is IHSW (Check out the link on the side bar) so I hope to have this one finished and start the Hedgehog for IHSW. I was trying to decide between Hedgehog and Peacock, but one of my followers suggested that I keep the colorful one for last! And I quite agree! So this weekend Hedgehog it is! Not bad for 8 days! I never thought it would be like this! Maybe I will give that baby afgan a thought!